Every year, starting in 2009 when my twin sons were in kindergarten, I have done an Advent Activity Calendar. Instead of putting candy into each day, I put a little slip of paper with a family activity on it. 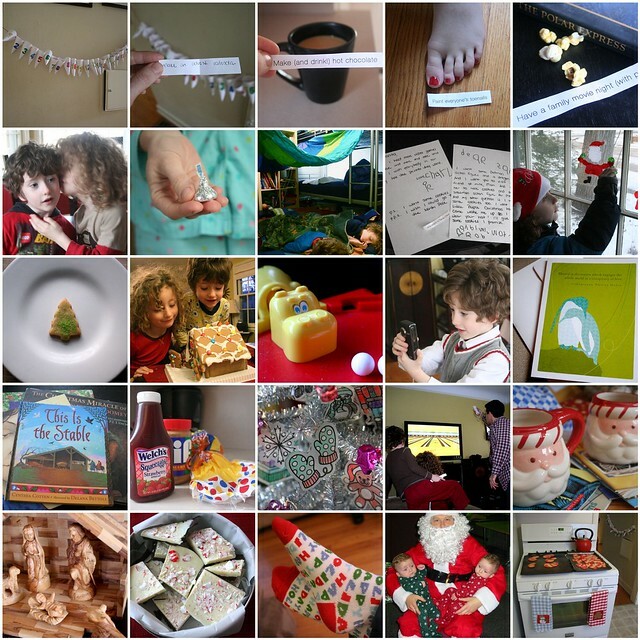 I photo documented every day of that first Advent doing this, and you can find it all on flickr. Advent Activity Calendar 2011 – I didn’t manage to fully document this one. 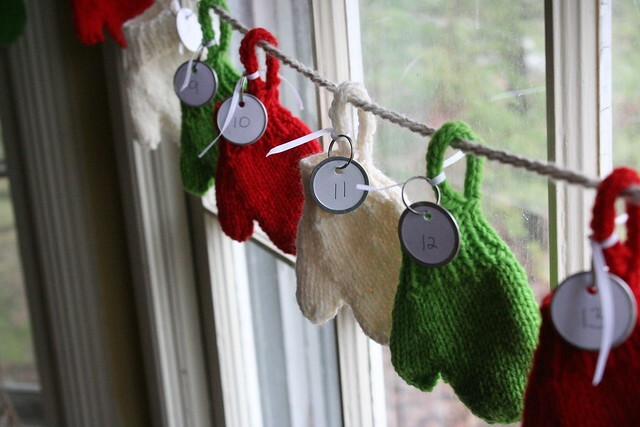 In 2012, I finally achieved a goal I’d had for years – I knit our Advent Calendar. Now I can simply reuse this one from year-to-year, which makes me super-happy.